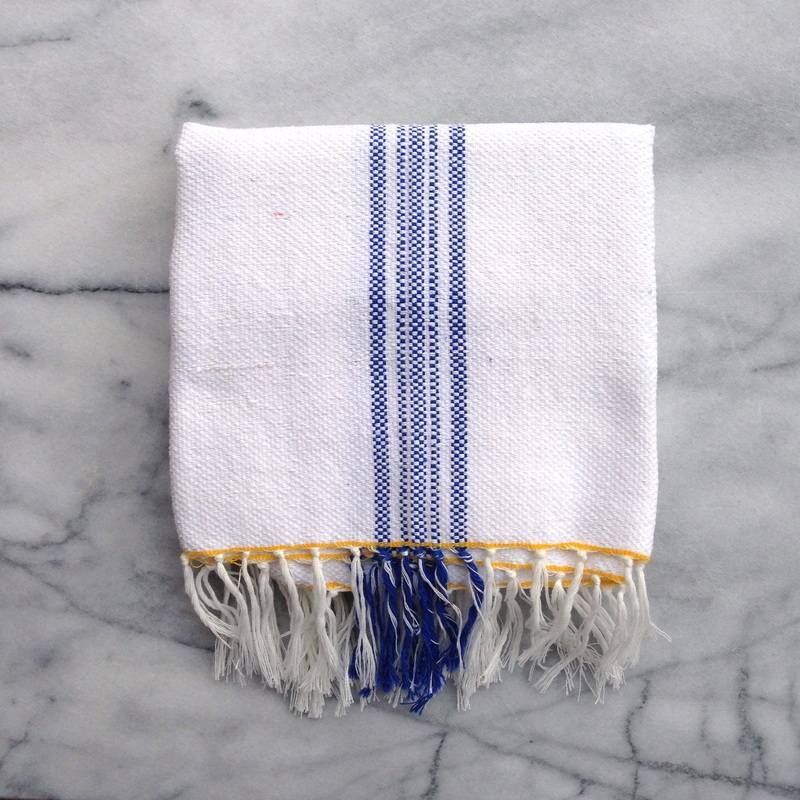 WE'VE BEEN WAITING AND WAITING FOR THESE BEAUTIFUL TEA TOWELS FROM MOROCCO TO ARRIVE AT THE SHOP, AND THEY FINALLY HAVE! ALL HANDWOVEN, IN BRIGHT WHITES AND COLORFUL STRIPES. EVERYONE NEEDS AT LEAST TWENTY OF THESE FLOATING AROUND THEIR HOME -- THEY'RE PERFECT FOR DRYING DISHES, HANDS, OR JUST TO HAVE ON DISPLAY. UNBEATABLE!